Florida Gator DB Vernon Hargreaves sprints upfield after receiving the punt. 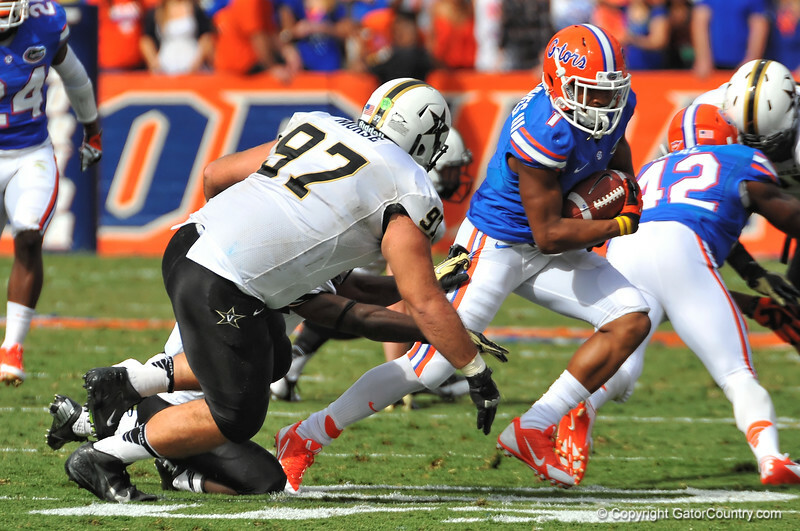 Florida Gators vs Vanderbilt Commodores. Gainesville, FL. November 9, 2013.